Startech, which is a subsidiary of Brabus, does some of the most unique, interesting and yet still tasteful modifications for British cars that you&apos;ll ever find. 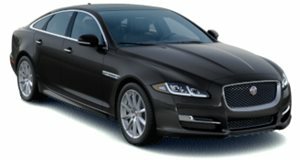 This puts them towards the top of our list of favorite tuners, and so when we heard they were bringing out a special edition of one of our favorite new cars, the Jaguar XJ, our curiosity was piqued. We saw the Startech XJ in Geneva and found it curiously difficult to photograph, all that black almost cloaks it. The modifications have once again been subtle, but they are still numerous, and the Startech has a much more imposing presence than the standard XJ. Modifications to the interior have been similarly seamless, and they did a good job of integrating an iPad-based multimedia system without making it overly garish. As is the norm with Startech, the XJ will impress without making you look like you&apos;re trying to show off.